We are so very proud that the Art Pavilion in Zagreb chose Nektarina Non Profit as its delivering partner for the "Learn through creative expression" workshops. Targeting elementary school children, workshops will be held each weekend (Saturday and Sunday) - starting this Saturday, October 1st, from 11 am till 12.30 am. All workshops are free, the materials will be provided for each child. If you live in a Zagreb area, and you'd like your child to participate in the workshop(s), please register by sending an email with the child's name, address, age and school name to arts@nektarinanonprofit.com by Friday, September 30th 2011. 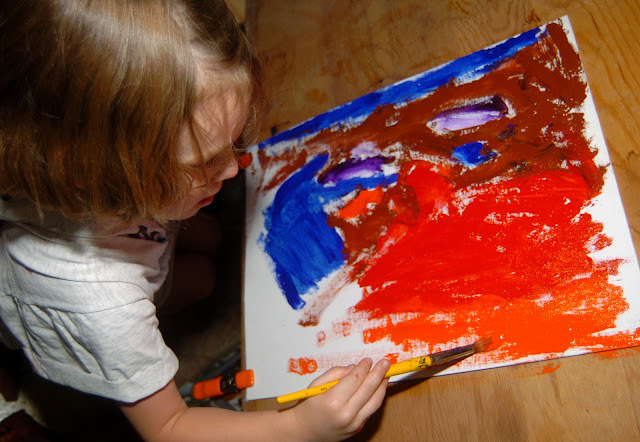 Workshops embrace the principle that arts education can positively and profoundly impact a person’s life, especially when received early in life. By providing avenues for creative exploration, these workshops will expose children and youth to the tangible benefits of arts education through the joys of creating and learning. Numerous studies indicate that people who receive arts education early in life reap many tangible, long-term, life-changing benefits. From enhanced critical thinking, improved self-esteem and ability to collaborate, to improved scores in math and science, children gain skills that can help them well into adulthood. Research shows that vibrant and prosperous communities begin with children that are healthy in every domain: language/cognitive/communication abilities, social/emotional skills and physical well-being. Through activities that are challenging, meaningful, and based on strong arts education principles, workshops we have created together with the Art Pavilion in Zagreb can expect to have a positive impact on the lives of the children it serves. From increased self-confidence to ability to work with others, the benefits of arts education resonate beyond the development of well-rounded children, and play an integral role in building strong, healthy and dynamic communities. The Art Pavilion is the oldest exhibition hall on the Slavic south and the only building that has been purpously built for big, representative exhibitions to be held in it. Together with the number of remarkable names from Croatian art history, exceptional names from other countries have appeared here. Croatian culture has never been closed or exclusive one, on the contrary, it has been naturally opened to the world, and the Art Pavilion in Zagreb was the place where great names from other countries were most seemly entertained. 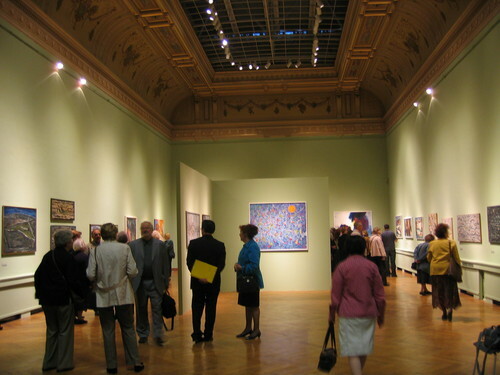 The need for an exhibition hall, where big exhibitions of artists and cultural importance can be held, was felt in Zagreb in the last decade of the 19th century when art life started to develop more intensely. The original idea and initiative for the construction of the Art Pavilion in Zagreb was given in 1895 by a painter Vlaho Bukovac, the most remarkable person in Zagreb’s artistic and cultural life on the transition of the centuries. The possibility of the realization of construction of the Art Pavilion in Zagreb appeared during the preparations for the Millenium exhibitions in Budapest, whose gala opening was planned for 2nd May 1896. Hungary celebrated “the festivity of millenium” - a millenium of its nationally constructive life, so Croatia and Slavonia, which were politically and juridically connected with Hungary, had to contribute actively to the exhibition. The invitation for the building of the Art Pavilion in Zagreb was officially published, and Viennese architects Hellmer and Fellmer (famous designers of theatres) were charged with commission. The construction work was performed by two building constructors from Zagreb - Honigsberg and M. Lenuci. After two years - 1897 and 1898 - the building of the Art Pavilion in Zagreb was finished, and the building itself was ceremoniously opened an 15th December 1898 with the representative exhibition called Croatian salon. One of the most beautiful Zagreb’s downtown ambients was deliberately planned and horticulturally rounded off in a “green horse-shoe”, and the Art Pavilion in Zagreb has most finely grown into its environment and became a participant of the creative integrity. The Art Pavilion in Zagreb is the place of the most concentrated insight into out own history, it is the stage where chosen parts from artistic, cultural and political present and past have been periodically set. 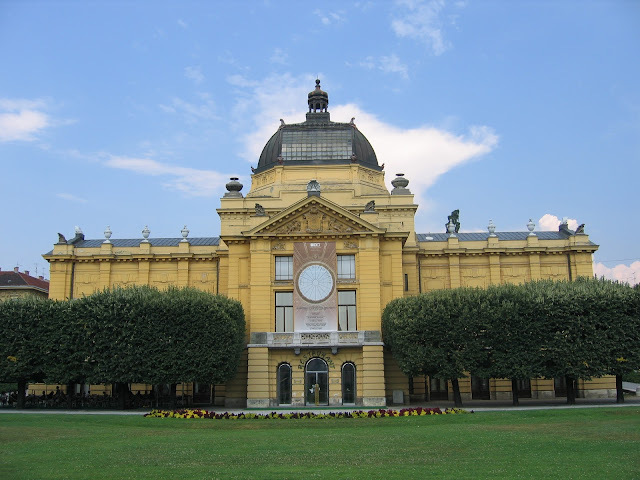 In the period of two and a half past decades, the Art Pavilion in Zagreb found its basic function just in the presentation and valorization of characteristic courses and unavoidable contributions of the national tradition. Big exhibition projects with wide thematic variety demand a wide range of co-operation, either with related institutions or the most competent critics - art historians or associates of various profiles who try to make every exhibition project into a creative event, interesting for the media. For every exhibitions that the Art Pavilion in Zagreb realize, and especially for retrospective and problem exhibitions, a comprehensive, representative catalogue is printed. For their scholary and meticulous, solid elaboration, together with a critical approach to certain subject-matter, some of the catalogues published by the Art Pavilion in Zagreb have become compulsory text-books for art history students on Zagreb University. In the coming period, the institution will keep pleading for continual and meticulous observation and elaboration of the most prominent persons and events of the Croatian art’s past and present - in its programmes of work. A number of unexplored chapters of Croatian rather old heritage and more modern art production is what is left, together with certain names that deserve scientific elaboration and whose work is still unexplored and has not yet been critically evaluated. All this is possible, because this place has its own specific role in Zagreb’s cultural environment, which is the result of the Art Pavilion in Zagreb being the central place and intersection of big fine art events in Croatian art, during its history and existence.